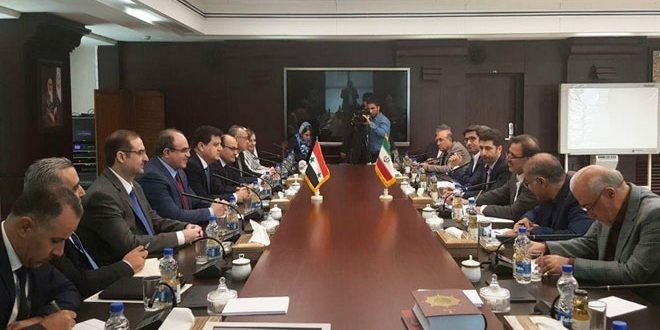 Tehran received a delegation from Syria, made up of 24 businessmen from different fields. Businessmen working in the plastics, metals, cars, food, construction and detergents industries visited the Iranian capital to discuss on ways that would help remove obstacles for investors from both the countries. The delegation was headed by the President of the Homs Chamber of Commerce and the Vice President of the Federation of Syrian Chambers of Commerce Mr. Abdul Nasser Al-Sheikh Fattouh. The delegation met with Iranian economists and members of the Iranian Chamber for Cooperative. Both sides discussed ways to develop their industrial and commercial cooperation in addition to the presenting the capacities of Iranian companies to Syrian investors. Mr. Mashallah Azeemy, a member in Iran’s Chamber of Cooperative presidency office, said that Iran is ready to contribute in reconstructing Syria’s infrastructure. Whereas, from his side, Fattouh pointed out that Syria seeks out Iran as a priority in terms of its reconstruction projects; estimated at 200 billion USD, he then called upon active Iranian economists to visit Syria and contribute in its reconstruction. Furthermore, Fotouh announced that 18 economic agreements were signed with Iran, expressing his wishes towards having the “distinctive” Syrian-Iranian political relations elevated. The past months leading up to this step has witnessed several meetings between both the nations. 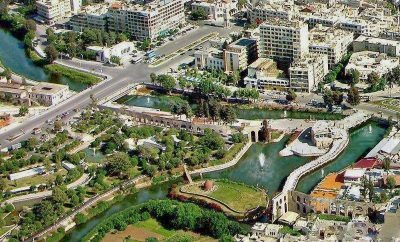 Last February, for instance, businessmen from both countries met in Damascus. 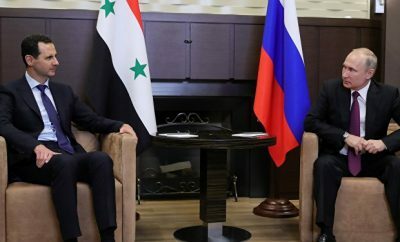 Their agenda included discussing the obstacles hindering the increase of Syrian-Iranian trade exchange and stimulating joint investments, especially that of transfer of funds and transportations. Moreover, last January, witnessed the launch the Syrian-Iranian Chamber of Commerce during the closing ceremony of the “Syrian-Iranian Business Forum” as announced by Secretary of the Federation of Chambers of Commerce, Mr. Mohammad Hamsho. The forum was aimed at encouraging trade relations between the two countries. It’s also notable that the 14th session of the Syrian-Iranian High Joint Committee concluded recently with the signing of 11 memorandums of understanding, an agreement and an executive program, including a long-term strategic economic cooperation agreement with Iran. This took place during a visit by Iran’s First Vice President, Eshaq Jahangiri, to Damascus. Meanwhile, the Syrian Embassy Chargé d’Affaires in Iran, Mr. Ali Sayyid Ahmed, mentioned that talks between the two countries are ongoing to eliminate trade fees; estimated currently at 4%, adding that the Syrian-Iranian exchange volume, worth 200 billion USD annually, is considered quite low and below expectations especially considering the depth of political relations between the two nations. From his side, the Deputy Chairman of the Iranian Chamber of Commerce, Mr. Mohammad Reza Ansari, pointed out that the American sanctions imposed on Iran have caused major obstacles against Iranian companies wishing to export technical and/or engineering services abroad. 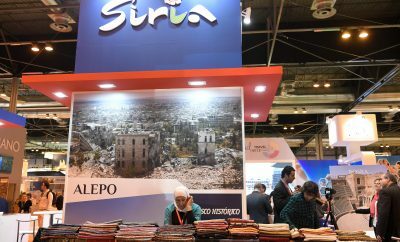 He highlighted the need for diligent planning for furthering the cooperation of Iranian companies in the reconstruction of Syria, adding that if Iranian companies’ shares in the reconstruction industry reached up to 10% it will definitely be worth the attention.